The Wandering Warriors Ambassador Program provides an opportunity for prominent business and military leaders to step into a non-executive role in support of our organisation. WW ambassadors become part of our organisation by invitation. All our ambassadors have either a personal connection to the Australian SAS Regiment or a strong commitment to the work of WW. Their role is a voluntary one. Our ambassadors contribute to our cause by guest speaking and other public appearances; also by accepting media opportunities, and participation in fundraising events. They lend their profile to media releases and help us spread our message. Engaging in regular conversations within their networks about the needs of veterans and their families. Hosting, funding, speaking at or attending WW fundraising events. Speaking about the WW cause with local, national or international media. Promoting and publicising the WW message through their social media. Participating in community and corporate fundraising to support the work of WW. Identifying and developing potential fundraising opportunities. Identifying and promoting partnership opportunities. 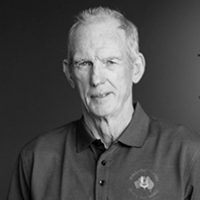 Wayne Bennett AM is an Australian professional rugby league coach and former player. He is the current head coach of the Brisbane Broncos of the National Rugby League(NRL), and since 2016 he has been head coach of the England national team, the first non-English coach to hold the position. He has also been head coach of Australia, in 1998 and from 2004 to 2005, and was an assistant coach of New Zealand in 2008. Widely regarded as one of the sport’s greatest ever coaches, he holds Australian coaching records for most grand final wins and most seasons with a single club (24 with the Broncos). Bob Brett MC has retired as a director and CEO, in keeping with his views about the need for fresh ideas, transition and generational relevance. Bob is a dynamic and passionate advocate for veterans’ causes who has brought focus and direction to Wandering Warriors. We are delighted to announce that Bob will continue to serve in an ambassador role. Bob remains a member of the Queensland government’s defence advisory committee. 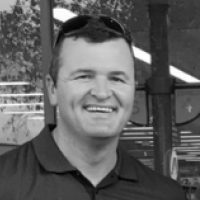 Bob is now a director of WHO DARES WINS Tours Pty Ltd, trading as HIGHFLYA TOURS and Australia Business Travel and Education Tours. 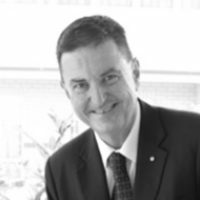 Bob is a graduate of the Defence Command and Staff College, the Federal Governments Senior Managers Course, Western Australian Institute of Technology in Marketing, New England University in Business Management and studied Asian Languages at Sydney University. Veteran of East Timor and four tours of Afghanistan with the Special Operations Task Group, elite-level and award-winning agent Clint Hynes has been a force in building our partnership with Ray White QLD. Clint’s work ethic and tireless efforts have lifted the profile of WW. His leadership by example has enhanced the reputation of contemporary veterans transitioning into post-service careers. We welcome his ongoing input in this new role. 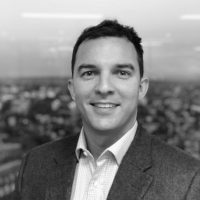 Dan Parker post his service career has had a successful IT Management career and graduated with a Masters of Business and Technology from UNSW Australian Graduate School of Management in 2010. He comes from a proud military family where beyond his service in Signals Corp, his father and two brothers served in Special Forces where lies a strong passion for supporting fellow veterans. Dan’s commercial career spans from leading startups to successful profitable exists to leading public listed multinational software companies regional expansion efforts. He currently leads Global Sales and Marketing at Objective Corporation. Since joining Wandering Warriors he has been actively involved in various programs and initiatives throughout NSW and ACT. Dr Paul Alexander AO has had a long and distinguished medical career both in and out of uniform. 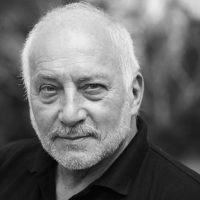 Paul recently completed three years as a director and vice-chairman of the WW board, and has accepted an invitation to remain involved with us as an ambassador. We greatly value his wise counsel and expertise in veterans’ health matters, and are delighted to have him remain part of the team in this new role.